Apple started taking orders for its flagship iPhone 5s in the U.S. and Canada at midnight Pacific Time after the phone launched earlier today in 8 other countries around the world. Most locales have seen tight supplies of all capacities and colors, with the gold model said to be particularly difficult to come by. The iPhone 5s is available directly from Apple via the Apple Online Store and the Apple Store iOS App [Direct Link], with the iOS app historically more resilient against traffic surges than the online store. Initial orders from the Apple Online Store will ship within 1-3 days. In the U.S., Apple is selling the 16GB iPhone 5s on most carriers for $199 with a two-year contract, while the 32GB and 64GB versions are $299 and $399 respectively. T-Mobile is offering the 5s for $99 down plus 24 monthly payments of $22.91 per month. There is also an unlocked GSM version of the 5s available for $649 (16GB), $749 (32GB), and $849 (64GB). All capacities come in Space Grey, Silver, or Gold. The iPhone 5s and the iPhone 5c, with the latter available for pre-order for the past week, will be available in U.S. Apple Retail, carrier and select third-party reseller stores beginning later today. Lines are already forming at retail outlets around the country. Get the f-out of here! I guess Apple still treats us better in the US than the rest of the world. 2 hours into sales, and it's still 1-3 business days on most carriers (except T-Mobile/Unlocked) except for the gold version, which has slipped to "October." They clearly allocated a LOT more stock to the US than to other countries, where it instantly went to 7-10 business days. Just completed my order using the app for the silver 32gb. Shipping time was 1-3 business days. The app was the amazingly easy. Wow, that was WAY easier to order than the 4S back in 2011. That was a nightmare. Got my AT&T 64GB Black on the way. Took 3-4 minutes. Still unlimited data BABY! Have to love this prepared article. 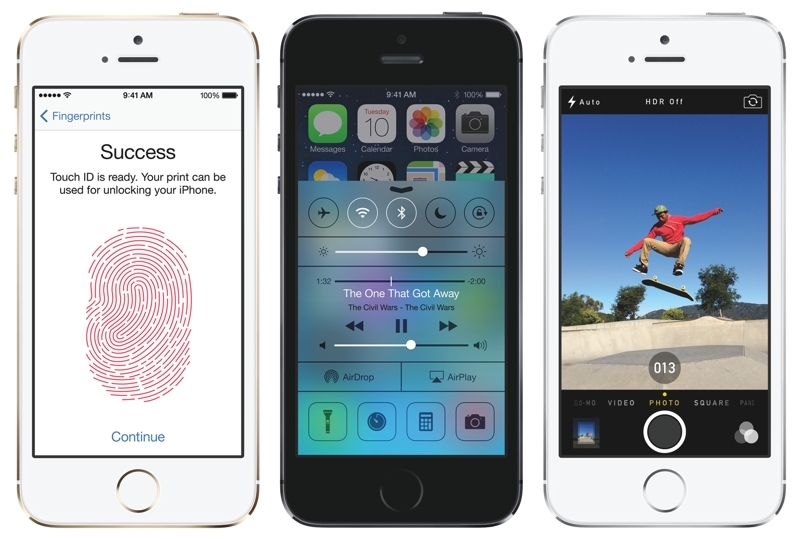 The iPhone 5S is NOT unlocked on launch day from ANY of the options on the site. The T-Mobile has been updated to only be "Contract-Free" crap. They will unlock it only on their terms. Woohoo! Easier than I expected...got in in the 1-3 ship time frame! Got one to surprised my brother. Can barely afford it but he served his country well. EDIT 2: I stand corrected. Just got a "Order ready to pickup" email. So did I. I'm still waiting for them to screw things up once I get to the store though.